William A. Schaal, Sr., 92, of Erie, died on Thursday, October 4, 2018, at Manchester Commons. He was born on June 14, 1926, in Erie, son of the late Eugene and Edna Daniels Schaal. A 1944 graduate of Academy High School and U.S. Navy veteran, he served as CEO of Team Hardinger Transportation and Warehouse from 1969 until his retirement in 2015. Previously he was the Operations Manager for Herrmann Transportation (subcontractor for Dixie-Ohio Express) for 25 years. 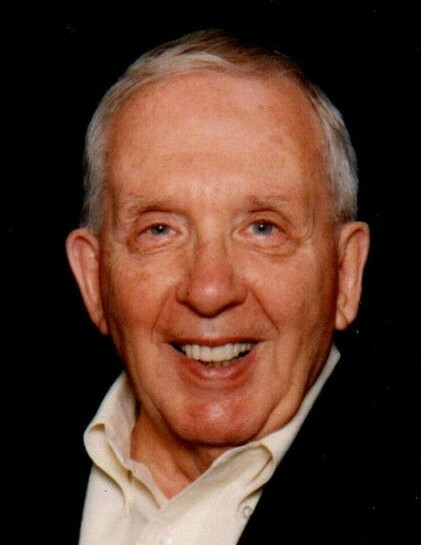 Mr. Schaal was a member of Luther Memorial Church, where he served as a member and Past President of Church Council, was a member and Past Commodore of the Zem Zem Zailors, a member and Past President of Erie Traffic Club, and a member of the Erie Club, Erie Yacht Club and Erie Maennerchor Club. He loved jazz and enjoyed attending Erie Philharmonic concerts and spending summers at Chautauqua Institution. In addition to his parents, he was preceded in death by his first wife, Alice Mary Rogala Schaal; his second wife, Barbara Rilling Schaal; and a son, William A. Schaal, Jr. in 2015. Survivors include his wife Carol A. Liebau Schaal; three children, Mary Alice Ross of Erie, The Rev. Richard M. Schaal of Owego, N.Y. and Kristiane Thomas (Tim) of McKean, Pa.; two sisters, Donna Jean Johnson (Leroy) of Paso Robles, Calif. and Carolyn Eisenberg of Santa Monica, Calif.; three grandchildren, Megan Ross of Erie and Taylor and Timothy Thomas of McKean; and several nieces and nephews. Friends may call Sunday from Noon until 3 p.m. at the Scott Funeral Home, 2104 Myrtle Street. A Funeral Service will be held Monday at 3:30 p.m. at Luther Memorial Church, 225 West 10th Street, with the Rev. William Coleman officiating. Military honors will be conducted by Erie Crawford County Burial Detail. Private inurnment will be at Luther Memorial Church Columbarium. Memorials may be made to Luther Memorial Church, 225 West 10th Street, Erie, PA 16501.